Hugo Chavez has recently undergone three surgeries for cancer, prompting much speculation and anxiety about the impact of his death. Unfortunately, due to sales rights restrictions, we cannot offer Latin America in the Post-Chavez Era for sale in your country. Hugo Chavez has recently undergone three surgeries for cancer, prompting much speculation and anxiety about the impact of his death. 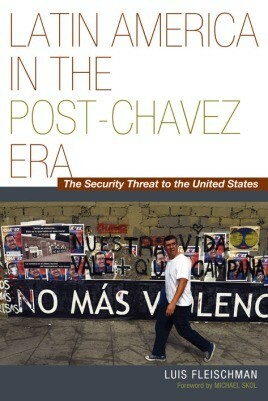 What will a post-Chavez future look like, not only in Venezuela but also in the region? In Latin America in the Post-Chavez Era, Luis Fleischman examines Chavez’s highly controversial Bolivarian revolution, which has expanded beyond Venezuela to other countries in South America and whose sphere of influence also extends to Central America and the Caribbean. Across Latin America, Chavez has financially supported political candidates or presidents in office dedicated to producing dramatic socialist change, cementing authoritarianism, and reducing American influence in the region. Meanwhile, China’s influence has been increasing and may evolve beyond an economic presence into a more political role. It is in this volatile context that Chavez’s destabilizing activities—including cooperation with regional as well Islamist terrorist organizations, drug cartels, and rogue states, particularly Cuba and Iran—take on ominous proportions. Fleischman argues that Chavez’s dangerous policies of consolidating control of the government and the media, exporting revolution, and strengthening alliances with subversive elements are likely to continue even after he is no longer in office. The shape of this post-Chavez world is one that Americans should watch with grave concern while taking appropriate measures to counteract Chavez’s legacy. LUIS FLEISCHMAN is an adjunct professor of sociology and political science at Florida Atlantic University Honors College. He has a PhD in sociology from the New School for Social Research in New York City and has worked as senior adviser for the Menges Hemispheric Security Project at the Center for Security Policy. He is the editor of the Americas Report, where he writes about the Bolivarian revolution, its alliances with Iran and terrorist groups, and the rise of antidemocratic forces in the region. He lives in Jupiter, Florida.